Maybe E.T isn't out there after all. After using observations from NASA's WISE orbiting observatory to search 100,000 galaxies for signs of highly advanced extraterrestrial life, a team of scientists has come up empty. "Our results mean that, out of the 100,000 galaxies that WISE could see in sufficient detail, none of them is widely populated by an alien civilization using most of the starlight in its galaxy for its own purposes," said Jason T. Wright, an assistant professor of astronomy and astrophysics Penn State and the lead author on a paper about its Glimpsing Heat from Alien Technologies Survey (G-HAT) published this week. "That's interesting because these galaxies are billions of years old, which should have been plenty of time for them to have been filled with alien civilizations, if they exist," he said. "Either they don't exist, or they don't yet use enough energy for us to recognize them." 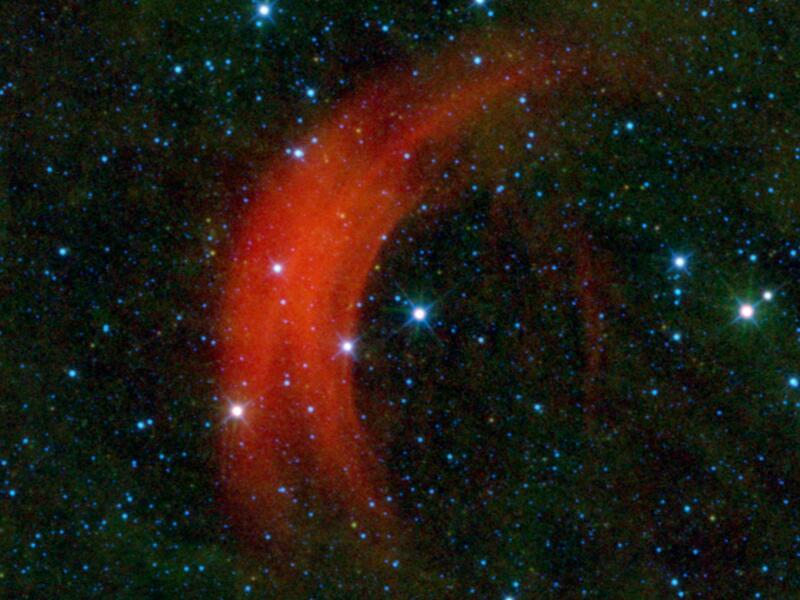 To find signs of intelligent life, Penn State's Roger Griffith, another author on the paper, scoured almost the entire catalog of the WISE satellite's detections - nearly 100 million entries - for objects consistent with galaxies emitting too much mid-infrared radiation. Griffith then individually examined and categorized around 100,000 of the most promising galaxy images. If a space faring civilization was out there, Wright said its "technologies would be detectable in mid-infrared wavelengths - exactly the radiation that the WISE satellite was designed to detect for other astronomical purposes." "Whether an advanced space faring civilization uses the large amounts of energy from its galaxy's stars to power computers, space flight, communication, or something we can't yet imagine, fundamental thermodynamics tells us that this energy must be radiated away as heat in the mid-infrared wavelengths," Wright said. Until now, the search for intelligent life has revolved around signs of communication from someone like E.T, the iconic character in the 1982 science fiction movie from Steven Spielberg. Among those leading this charge is the SETI Institute, which seeks evidence of life in the universe by looking for some signature of its technology. "This research is a significant expansion of earlier work in this area," said Brendan Mullan, director of the Buhl Planetarium at the Carnegie Science Center in Pittsburgh and a member of the G-HAT team. "The only previous study of civilizations in other galaxies looked at only 100 or so galaxies, and wasn't looking for the heat they emit. This is new ground." The search for intelligent life has ebbed and flowed over the years - with SETI, for example, often struggling to find funding. But as the technology improves and telescopes become more powerful, scientists are growing increasingly confident they will find life - intelligent or otherwise - in the coming decade. This month, NASA said it was confident that life would be found in the coming decade. Wright refuses to be drawn into a debate over whether life will be found, saying he wants to let the data speak for itself. But he also isn't giving up the search after his latest results. His team plans to do a more detailed search to affirm the heat they did find in these galaxies was from natural sources. And they plan to examine data from other telescopes that look at ordinary visible light emissions or ultraviolet radiation for possible clues to life. "As we look more carefully at the light from these galaxies, we should be able to push our sensitivity to alien technology down to much lower levels, and to better distinguish heat resulting from natural astronomical sources from heat produced by advanced technologies," Wright said. "This pilot study is just the beginning."